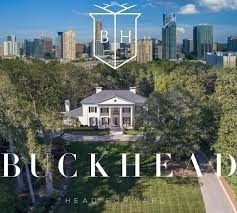 Welcome to Buckhead, the ultra chic Atlanta neighborhood where you can experience decadent restaurants, world-class hotels and legendary shopping. Buckhead is home to Lenox Square and Phipps Plaza, the upscale destination for shoppers throughout Georgia and the region. Restaurants and boutiques abound throughout Buckhead, and nightlife beckons from the world famous Peachtree Street and the Andrews Entertainment District.